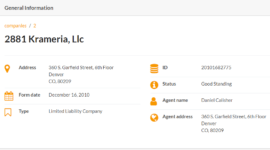 New web-based company Bizset has launched a website that contains complete and up-to-date contact information for US-based corporations. Users are now able to search for addresses, various contact information, maps, and other practical information at Bizset.com. Bizset aims to make basic information about US companies more readily available to the general public via their website’s simple, yet effective, business search capabilities. Drawing from the finer stylistic qualities of the increasingly obsolete phone books, along with the speed of internet research, Bizset has created a database that will get you the information you are looking for in a timely manner. Bizset users are able to apply search filters, which can narrow searches by location and/or service type, for example. This functionality enables the user to seek out a business that fits the criteria of their needs, or to find a business whose name cannot be readily recalled by the user. The corresponding interactive map allows the user to quickly find directions to the company’s physical address. Bizset’s company search function differs from search engines by including information about small and large businesses alike, wholly inclusive of any business that does not have a website of its own. Bizset opts for a logical sorting system that displays results alphabetically within the user’s parameters, rather than the traditional search engine’s proclivity toward rank-based results. That information is presented in a tidy user interface, sparing the user excessive research time. Aside from the benefits of Bizset’s database over search engine sorting, it also improves upon the information available directly on US companies’ websites. While many US businesses have websites, they often falter in several ways: contact information and hours of operation are not available; said information is buried illogically within the website; or the website contains contradictory information than what is given on the company’s social media sites or letterhead. Bizset ensures that such potential problems are resolved and listed correctly in their database. User experience and data accuracy are among Bizset’s primary goals, and Bizset’s platform is designed with those ideals in mind. A welcoming user interface makes Bizset’s database accessible to a range of users with different skill sets. Those who have limited computer skills may experience less stress associated with internet research, and those who are more technically savvy may appreciate access to a more streamlined information delivery system. While older methods of searching for US companies often fail in areas of simplicity, comprehension, and speed, Bizset makes up for those shortcomings by providing current information for all businesses with one easy-to-use platform. Additional details and features, such as patents, trademarks, and company filings, are to be made available at a later date. Progress updates will be reported at Bizset.com.